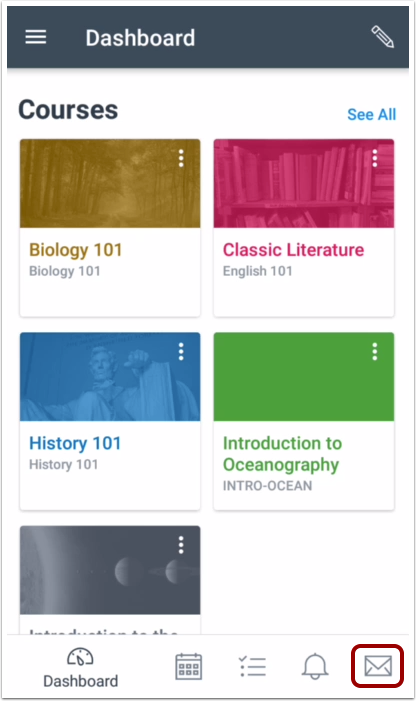 How do I add an attachment to a message in the Student app on my Android device? 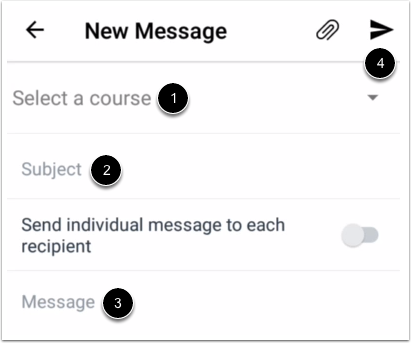 You can send attachments in conversations messages using the Canvas Student app. 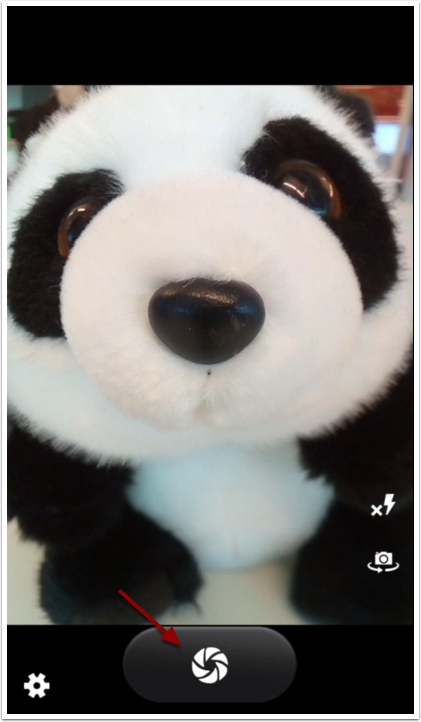 To attach a new photo from your camera, tap the Camera icon . 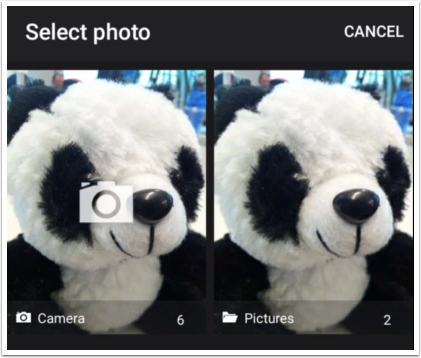 To attach an existing photo on your Android device, tap the Gallery icon . 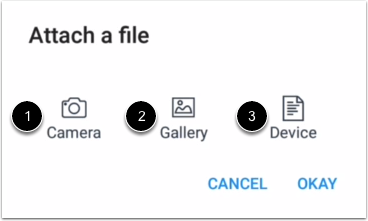 To attach a file from your device, tap the Device icon . Note: To learn more about attaching a file from your device, view the Canvas Media Comparison PDF. If you want to re-take the photo, tap the Retake icon . Otherwise tap the Checkmark icon . 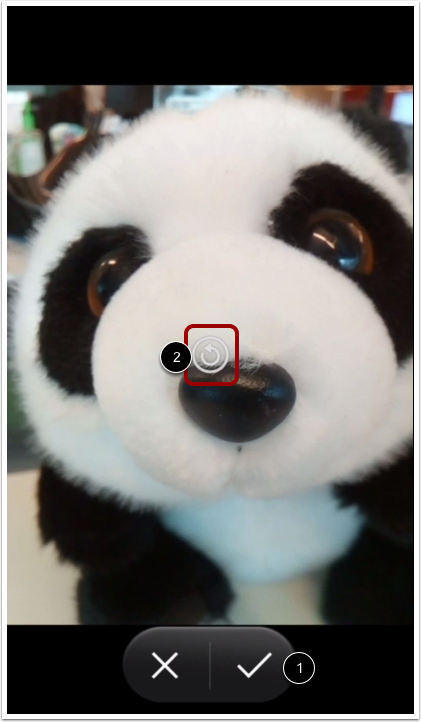 To select an existing photo, locate and select a photo from a photo gallery on your device. 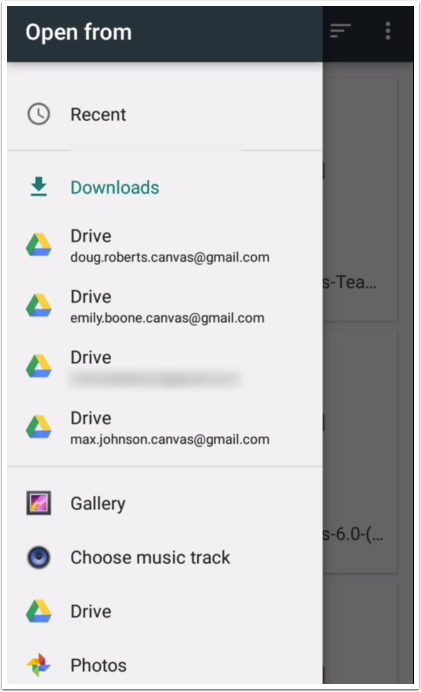 To select a file saved on your device, locate and select a file from your device. To add the attachment to the message, tap the OK link. Attachments display at the bottom of your message. 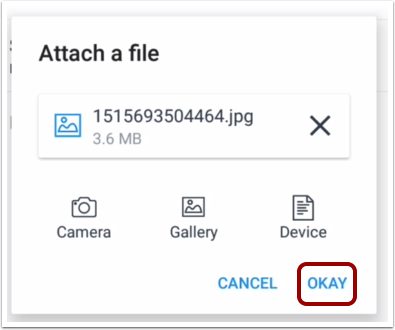 If you want to delete an existing attachment, tap the Delete icon for that attachment. 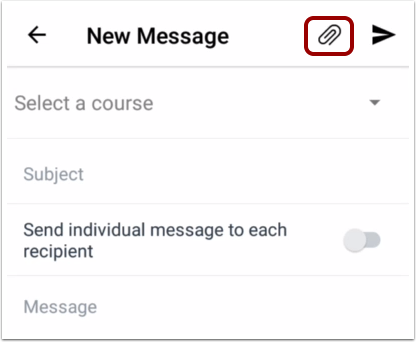 To add a message recipient, first select a course . In the Subject field, enter the message topic . In the Compose Message field , type your message. 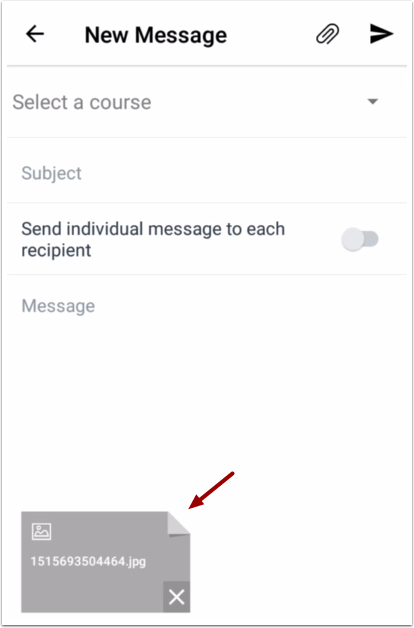 When you are ready to send your message, tap the Send icon . 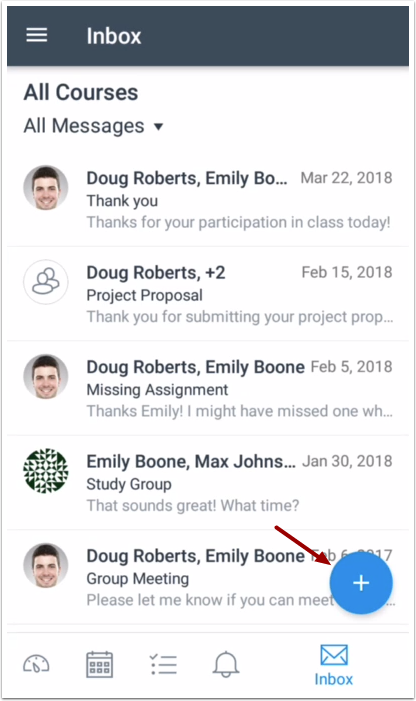 Note: New messages will not appear in the Inbox on the Canvas Student app until there is a reply to the message, but you can view the message in your Sent folder. However, if you have an existing Inbox message with a recipient, the message will appear as part of the Inbox message thread. Previous Topic:How do I send a message in the Student app on my Android device? Next Topic:How do I view recipients in an existing group message in the Student app on my Android device? Table of Contents > App Features > How do I add an attachment to a message in the Student app on my Android device?